Driveways and forecourts from Northern Cobblestone create a stunning first impression and add prestige to your home or business premises. 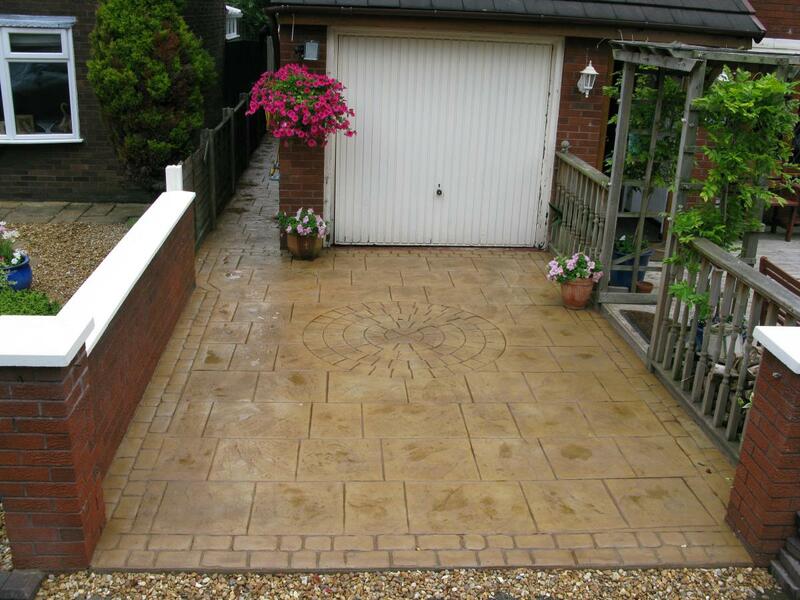 No Sinking - Over time, many driveway solutions, such as block paving, are prone to sinkage. For example, where a car is regularly parked in one spot, its weight is pushing down on just a handful of blocks, eventually leading to grooves or dips in your driveway. As PIC forms a solid base with fibre-mesh reinforcement, there is no risk of this. No Weeds - Within a short time, the gaps within block paving and indian stone attract moss and weeds, requiring regular treatment. With nowhere for weeds to get a foothold, PIC can be kept weed free with just a simple brush and / or wash with a hose pipe or pressure washer. Incredibly Versatile - Let your imagination run wild with sweeping curves, embedded circles and cobbled edges. Wherever you can lay concrete you can pattern imprint it in a mix of colours and patterns. Added Style / Features - Add a touch of class with embedded LED uplighting or perhaps lift-up security posts to protect your business premises whilst empty. PIC can accomodate such features easily. 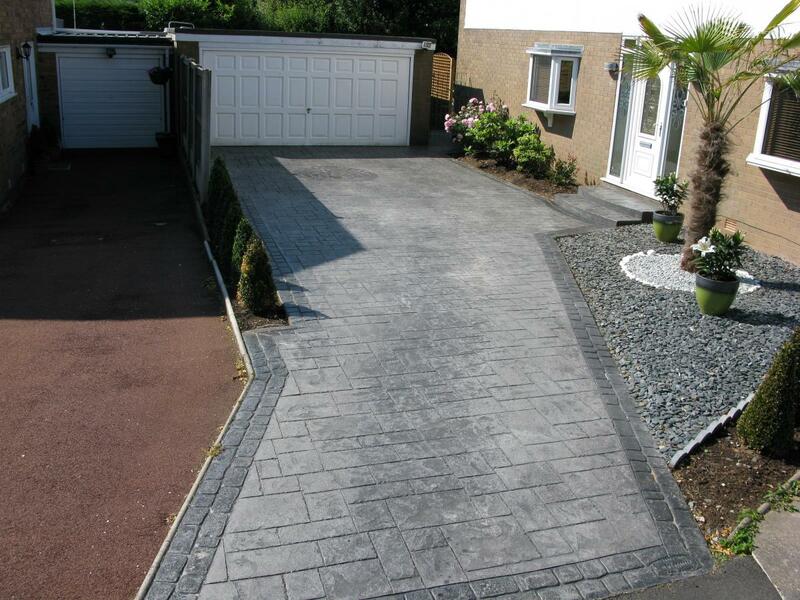 For examples of our pattern imprinted concrete Driveways, have a look through our Photo Gallery. References from previous customers are also available on our Testimonials page. Curb appeal can be defined as the first impression of a home or property as viewed from the street. It can actually increase the value of a property for resale, or better yet, cause envy from nearby neighbours! 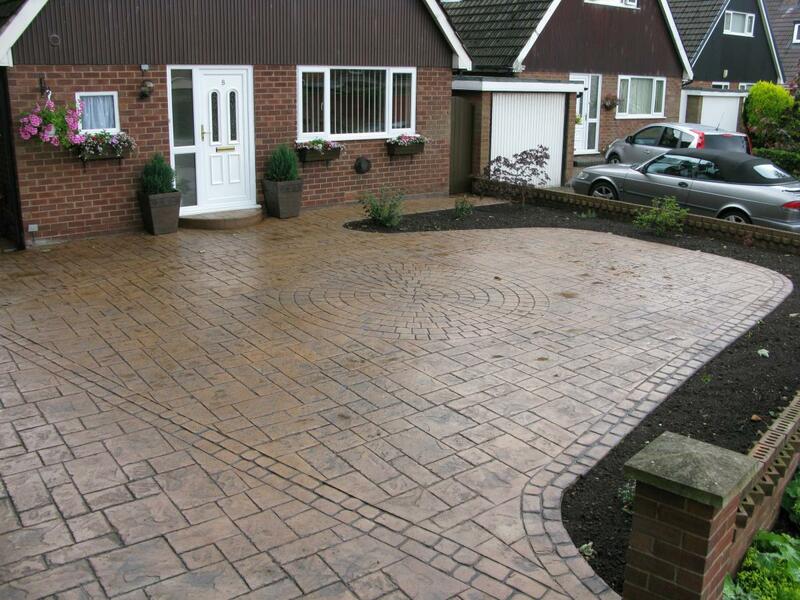 Let Northern Cobblestone transform your driveway from bland to beautiful. Our pattern imprinted concrete Driveways are supplied in a wealth of colours, patterns and styles all of which can be mixed and matched to create a totally unique solution for your property or business premises. 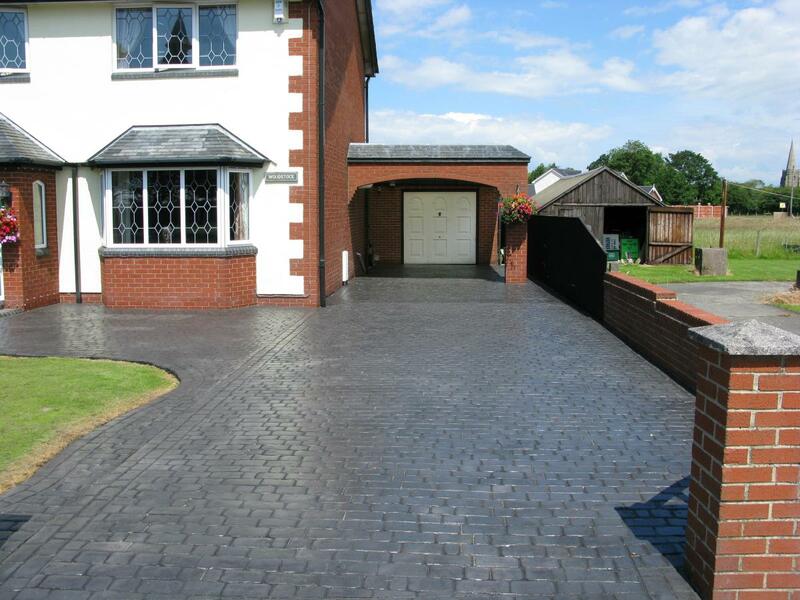 If there's any other work you're considering as part of your Driveway project, please let us know and we'll provide you with a quotation if we can.